“There was an exchange of fire in front of the entrance to the Premier-Palace Hotel about 40 minutes ago. One man was killed and two other persons were injured. The identity of the killed man has been established. He is a Russian politician, a former State Duma member. Yes, I can confirm that he is Denis Voronenkov," the head of Kiev police, Andrey Krishchenko, said, as cited by TASS. "[The suspect] is under police protection, he is being given priority medical assistance at a hospital," Krishchenko told reporters. The Ukrainian Prosecutor General’s Office confirmed that the suspect has died, TASS reported. Police have established his identity, saying he was a Ukrainian national. Ukraine’s security forces will take Voronenkov’s wife, Maria Maksakova, under protection along with Ilya Ponomaryov, another former Russian lawmaker living in Kiev, Prosecutor General Yury Lutsenko said. “Mysteriously, in December, two months after arriving in Kiev, he [Voronenkov] was granted Ukrainian citizenship. One has to wonder what kind of favors he has done to Poroshenko and the regime in Kiev to warrant such extraordinary treatment,” Trifkovic said in an interview with RT. He also noted that he wouldn’t be surprised if it turned out that the Ukrainian government was behind the murder, since Voronenkov “had much more utility dead than alive,” enabling Kiev to lay the blame on Moscow. Voronenkov had been on a federal wanted list in Russia since February 15, as well as on an international wanted list since February 27, charged with masterminding a large-scale fraud. The fugitive lawmaker's alleged corruption also featured in an investigation by Russian opposition figure Aleksey Navalny, who had reportedly discovered that Voronenkov had far more assets than his officially-declared yearly income of 2.4 million rubles (about $41,700). 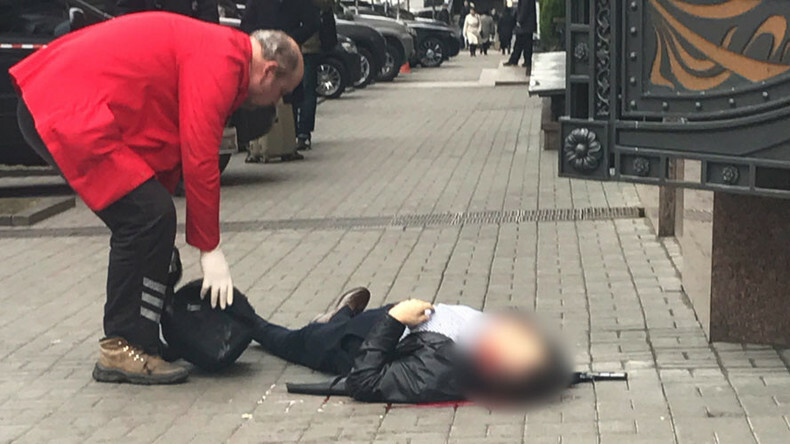 The former lawmaker was shot twice in the head when he was on the corner of Taras Shevchenko Boulevard and Pushkinska Street, near the main entrance to Kiev’s Premier Palace Hotel. Ukrainian law enforcers immediately said they believe Russia is behind Voronenkov’s killing. “Considering the identity of the victim, as one of the priority versions we consider the actions of the Russian Federation aimed at eliminating this person as a person who gave important testimony in the processes that took place in Ukraine,” the deputy head of the National Police of Ukraine, Aleksandr Vakulenko, told the press, as cited by Interfax Ukraine. Less than an hour after the killing, Ukrainian President Petro Poroshenko called it "an act of Russian state-funded terrorism," according to his press secretary. Poroshenko went on to link Voronenkov’s killing and the massive explosion at an ammunition depot in the Kharkov region of Ukraine that happened late on Wednesday night and continued into Thursday. “It is no coincidence that the murder took place on the same day as the sabotage at Balakleya in the Kharkov region of Ukraine,” Poroshenko said, as quoted by his press secretary, Svyatoslav Tsegolko, in a Facebook post. 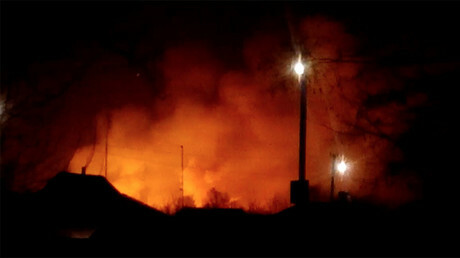 Earlier, Anatoly Matios, the chief military prosecutor of Ukraine, wrote on Facebook that according to preliminary data, the explosion and fire were the direct result of sabotage. Russia has rebuffed accusations of links to Voronenkov's killing. "We believe that any notion of a notorious Russian trail in the murder of former State Duma deputy Denis Voronenkov are absurd," Kremlin spokesman Dmitry Peskov told journalists. "We hope that the assailant and those who are behind his actions will be identified," Peskov added. 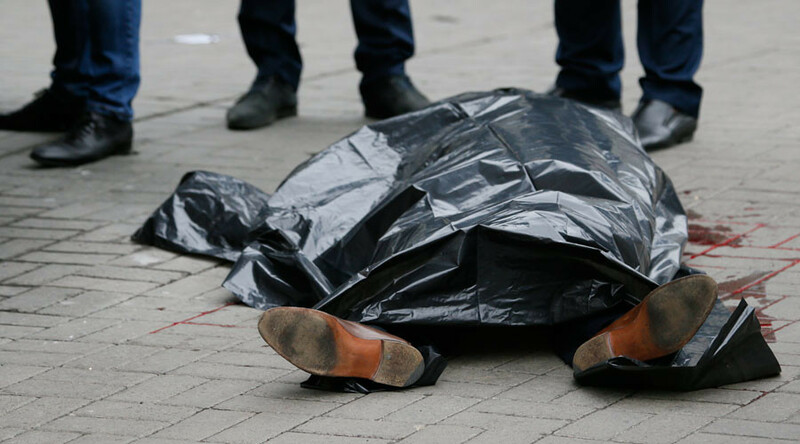 “Moscow is shocked by the information on the cruel murder of the former State Duma deputy, Denis Voronenkov, in the center of Kiev on March 23. The data available so far suggests that it was a deliberate contract murder…” Zakharova said at a press briefing.